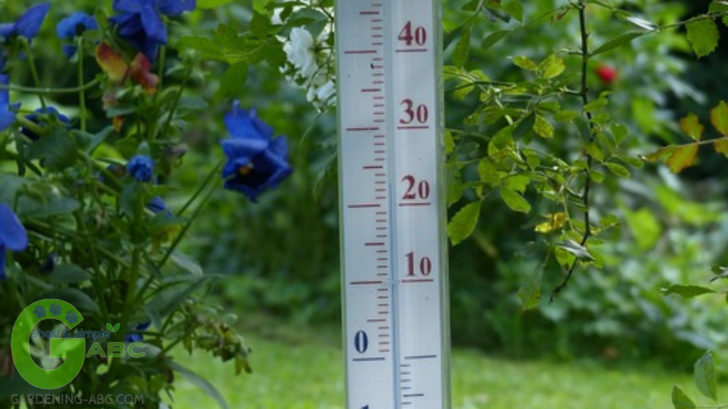 First, let us have some insights about how a plant generally combat a hot weather. The first causality of hot weather is the loss of moisture from the plant as well as from the soil. A few plants can conserve water inside their stem and leaves and thus can tackle the situation. But most of the plants show wilting in the excess heat. This can even go to a situation where the leaves will dry up, become yellow and eventually die. In case of the mild increase of temperature above the tolerance level, some plants shed their leaves to cut down on the release of water. Plants like tomato, cucumbers, pumpkins etc stop producing and drop the blossoms, whereas cool climate plants such as cabbage, broccoli or spinach start bolting. If the temperature raised above 90 deg F, you might not receive the actual size of tomato which you thought you will get. At times many of us might even blame the variety of the tomato for that, whereas in most of the cases it is the weather who you needs to be blamed. Some parasites infestation is also seen in times of hot summer. Hot dry weather is heaven for spider mites on plants. These insects can really damage the leaves. There is not much we can do to change the weather but we can really use some techniques which can really minimize damage. First and foremost, make sure there is no shortage of water in the soil. It is the water that is responsible for carrying the nutrients from the soil to the plant in the form of sap. 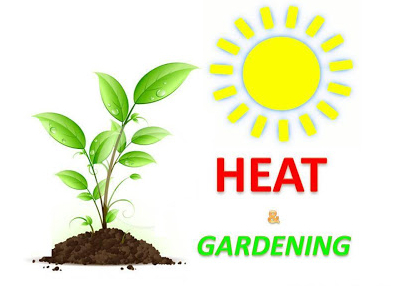 So make sure that the plants should not be devoid of nutrients in the hot summer. For container garden, you might need to water twice a day in some cases. Also, it is equally important that your soil has proper drainage. You can add different soilless mediums to the soil to increase the drainage capacity. What can be worse than keeping the plant in a waterlogged situation and let the plant rot? Another way to increase the moisture retention of the soil is by applying mulch. Mulch will also help in preventing outside heat reaching the soil and keep the soil cool. It also controls the weeds. More on mulch here. You can also provide some shade net to control the heat of the environment. Some plants can do wonders if provided with the shade net. As they say, there are always some positives in every negative situation, this hot and dry weather can reduce various fungal diseases of the plants such as blight and powdery mildew which are very common in monsoon. I know the hot weather is very damaging for the gardens and the gardeners. I hope most of you still have not faced this condition, but if you had, I believe this article might have been able to solve some of your questions. I would also like to know what tricks or techniques you have applied to combat this situation. See you all in my next article. Till then, keep your comments coming. i just have a net over my backyard , but then the plants become to long , stemy is not the right word thou 🙂 – if i let it under direct sun then it just drops and then in the evening its OK..
keep the good work going..
gardening is all about trial and error methods. keep us posted on how you fined tuned as per as your local climate.